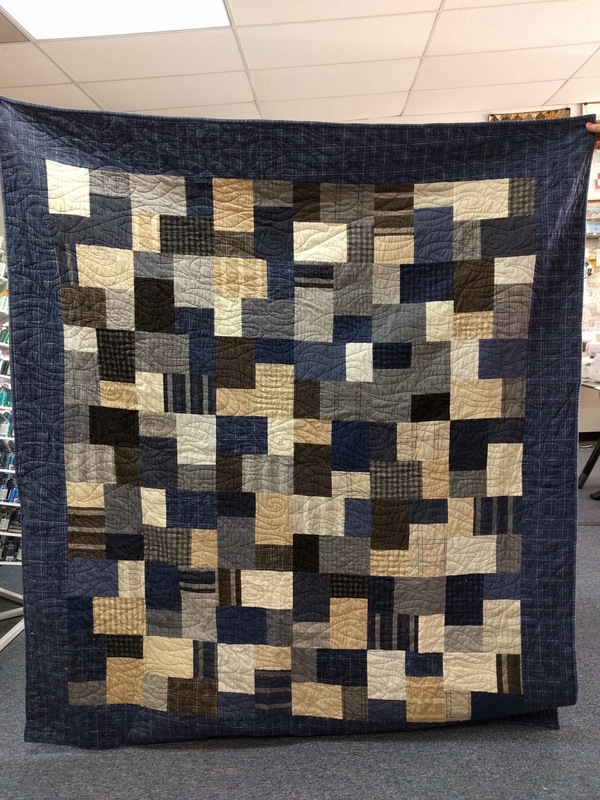 I made this quilt as a shop sample with my husband in mind, since he loves grays and blues (and hates how cold I keep the house in the winter). 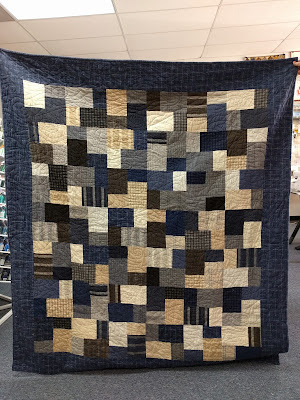 I used Missouri Star Quilt Co’s Double Slice Layer Cake pattern and one layer cake from Moda to make the blocks, and then added borders to make it bigger. 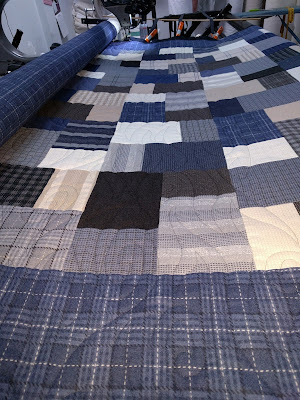 The pattern was super easy and quick and I think the entire quilt was pieced and quilted in less time than it took me to hand-stitch the binding down (I had to wait for a cold front!). I’ve never worked with flannel before and I found it kind of a pain. It stretched more than I expected in one direction and not at all in the other, so I had issues when I put the whole thing together. Once quilted and washed it looked fine, so I’ll try not to fret about that too much. I love the panto I put on it with the Statler Stitcher. It’s called Mahogany by Kristin Hoftyzer and I’d never used it before, but I’ll definitely use it again. I made it fairly large and it looks great.